The first item on my wish list is a new pair of sunglasses. I've been scouring my favorite online shops in the search for a new pair and there's so (so) many great options out there! I used to be an avid sunglass shopper but I haven't bought a new pair in quite a while and I'm craving a new addition. The Westward Leaning x Olivia Palermo collection is stunning but I'm also loving the funkiness of this Illesteva style. Ah! Now, if I could only decide on one! 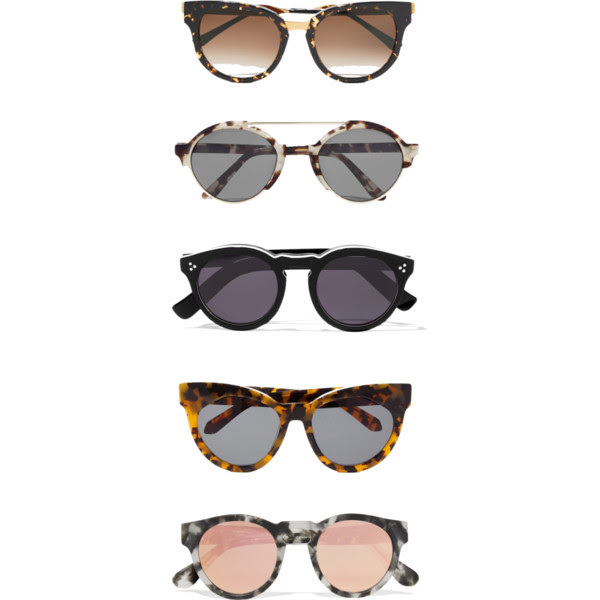 Loving those Thierry Lasry Cat-eyes, but these are all perfectly gorgeous pieces! What an useful recommendations! When it comes to fashion for summer, i love wearing sunglasses, especially the cat-eye ones. They're fashionable and modern. Great collection!